We’re on the brink of Fall, as the weather is still warm, however hints of it are beginning to show with the trees already changing their color. This is the beginning of my favorite time of year, all the way up to New Years. I love the feeling in the air, the decor, the food, the colors, the smells, the coziness – everything! Not to mention I’m itching to wear a long sleeve shirt with a scarf and boots again. As soon as I could, I jumped at the chance to start preparing for Fall, which means finally adding a few decorative touches to our apartment. This is the first year I’ve been able to decorate my own place for the season, which I’ve been craving for years and years now, and of course I’m more than thrilled to do so, within reason of course (you can read a little about us moving in here). Here are a few of my fun Fall touches so far…because the official start to Fall and cooler weather cannot come fast enough! The first piece is a tart burner from Yankee Candle that I’m in love with! 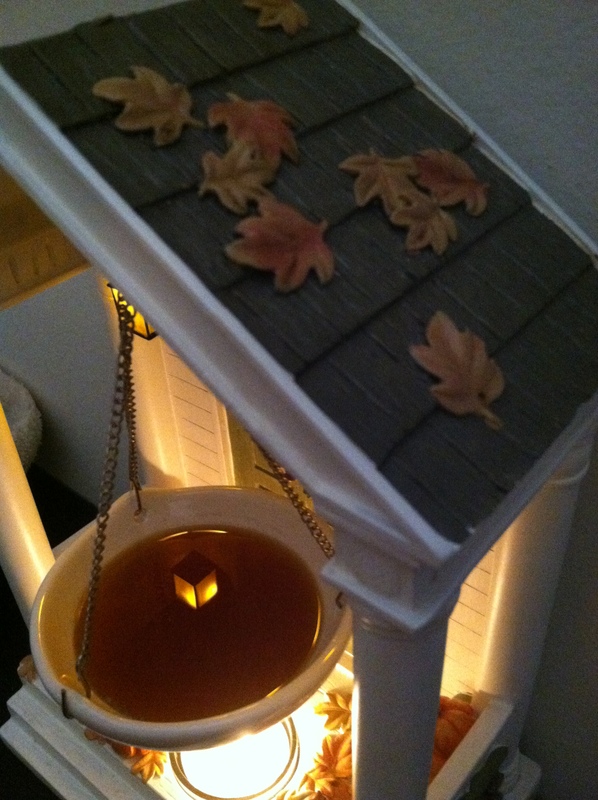 It’s a cute little porch, complete with front porch lights (2 AAA batteries, not included)! 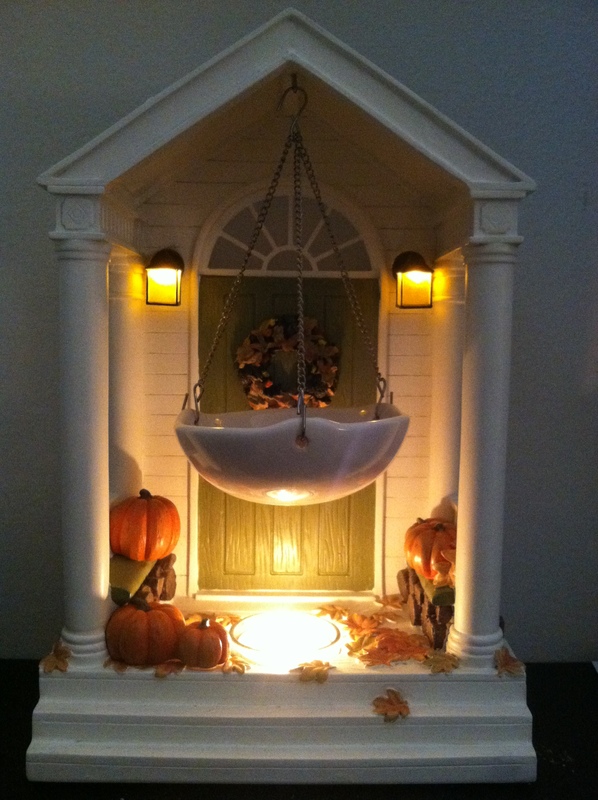 I love all of the details on this, such as the wood, the pumpkins, and even the leaves on the steps and the roof! Fragrance is a huge thing for me in the Fall. I’ve recently rediscovered my love for candles/wax, and I definitely took advantage of Yankee’s $1 tart sale and $10 off coupon this past week. My favorite fragrances in Fall always include at least a hint of cinnamon spiciness. That is the definition of creating a warm homey atmosphere for me. 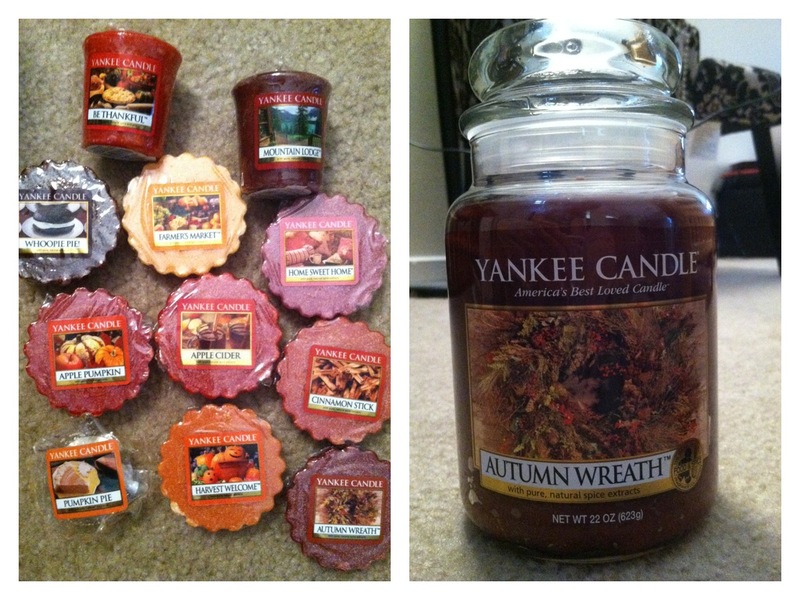 I had to pick up Autumn Wreath, which has that cozy cinnamon note I love so much, and discovered a few new ones in the tarts as well as old favorites. I always thought it would be fun to get seasonal hand soap for the kitchen and bathroom, so a visit to Bath & Body Works at some point was a must. They always have great deals going on. 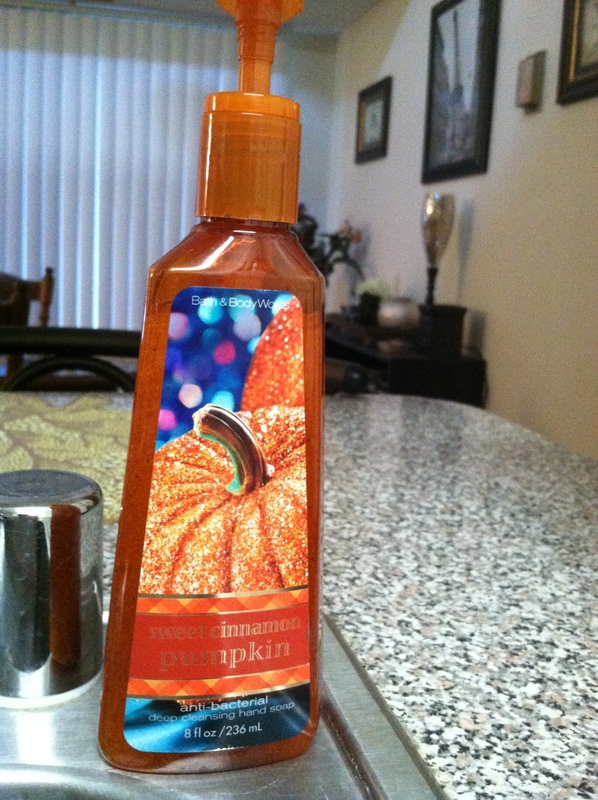 Sweet Cinnamon Pumpkin was one of my favorites, and I also picked up the regular Pumpkin fragrance in the Halloween packaging. I couldn’t resist! They also have one that smells like Apple Cider, which I was on the fence about. I must say that I love my coffee. 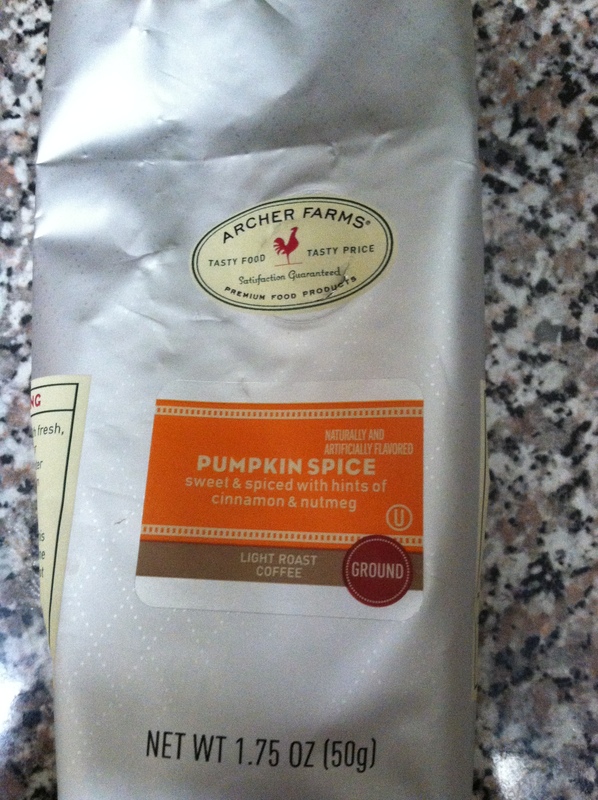 So when I saw that I could try this Pumpkin Spice flavor out for just $.99 at Target, how could I say no? Turns out that I loved it – it’s Fall in your mouth for sure, and I highly recommend it to all coffee drinkers and Fall Freaks alike! I plan on going back at some point to get a bigger bag while it’s available for the season. My final piece so far for the season…who knows, this may be the last with this years budget, is my gold metallic leaf place mats. 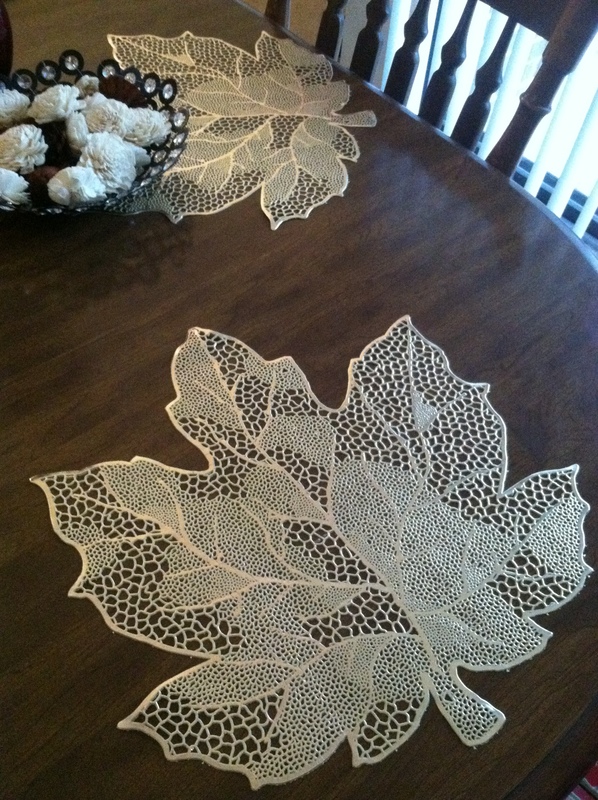 I thought these were a classy touch of Fall on the table without using a Fall themed table cloth. The only thing missing is the hot apple cider! MMMM! I can’t wait! OOOH, I forgot to mention patchouli! That is my favorite scent! I can do that one all year round. It makes me smile, too 🙂 Love it! Ha! “Fall in your mouth”! !